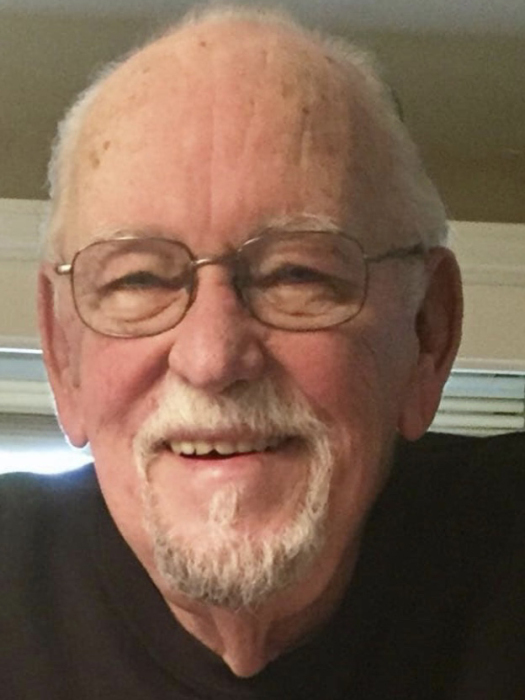 Donald E. Hicks, 76, of Kokomo, formerly of Walton, passed away at 1:05 p.m. Sunday, December 2, 2018 at his home. He was born February 14, 1942 in Cincinnati, Ohio to Frank and Lilly (Little) Hicks and grew up in Columbus. Don married Judy A. Semencar on January 28, 1961 in South Carolina. They were married for 48 wonderful years. Judy preceded him in death July 12, 2009. Don never expected to find love again but he did in Betty Dean. They had nine amazing years together and were married on November 17, 2018. Don joined the US Army in 1960 and served in Vietnam. After leaving the military, Don worked in the insurance industry and joined Cincinnati Insurance in 1975. Don purchased Conn-Sturm-Hicks Insurance Agency in Walton in the mid-1980s and owned and operated the agency until 2010. He was a member of Phi Delta Kappa and the Walton American Legion Post #418. Don loved his family more than anything, and often traveled to visit his children and other family and friends, along with vacations with Judy, and later with Betty. These trips took him from Austria and Poland to Hawaii and Japan, and all over the US. One of his favorite places to go with Betty was the Beaux Eden Plantation in Fort Valley, Georgia. Don enjoyed playing golf—including trips to Scotland and Ireland with his son and sons-in-law—fishing trips to Canada, and playing poker with his "Phi Delt" brothers. Everyone who was lucky enough to meet "Big Don" (as he was known on his annual golf trip to Tennessee) knew that he loved life and lived it to the fullest. Don was active in Walton and the surrounding area and truly loved his small-town community. He served on the Town Board and was President of the Board for several years. He coached and umpired in area softball leagues, and supervised all of the league umpires in Kokomo for many years. He was proud of his "Strike Three!" call and delighted in teaching it to his grandchildren. Surviving family include his wife Betty Dean Hicks, of Kokomo; his children, Dawn Miller, Indianapolis; Jeff (Melissa) Hicks, Milwaukee, WI; Beth McCurdy and fiancée Todd Pittman of Myrtle Beach, SC, and Jennifer (Kiel) Christianson of Mahomet, IL. Don is also survived by ten grandchildren: Sean Hicks, Houston, TX; Shea Germany, Denton, TX; Alexander Hicks, Milwaukee, WI; Andy Miller, Denver, CO; Danny Miller, Carmel, IN; Izzie Miller, Bozeman, MT; Kaitlyn McCurdy, Marion, IL; Olivia McCurdy, Myrtle Beach, SC; and Sophie and Erik Christianson, Mahomet, IL; one great grandchild, Charlie Elizabeth McCurdy of Marion, IL; step children, Kimberly Todd, Jacksonville, FL; Timothy Zehring, Jacksonville, FL; Kathryn Gillespie, Kokomo, IN; Matthew Reese, Ft. Myers, FL; eleven step grandchildren, ten step great grandchildren and a “special granddaughter” Hailey Fagan; sister-in-law, Brenda Hicks; brothers-in-law, Doug Semencar, Jim Conklin, and Dale Semencar, one niece, Andrea Hicks Brock, and one nephew Chris Hicks. Don is preceded in death by his parents, first wife Judy, brother, Otis Hicks, and son-in-law, Doug Miller.